Get up, go to work, come home, eat dinner, go to sleep, repeat. Our days become mundane, repetitive, Groundhog Day. We all feel this sense of stagnancy at one time or another. So what do we do? We take a vacation. Nothing a sandy beach can’t fix. But if a trip isn’t in the budget, we might pick up a book because another person’s life is always more interesting than our own. So . . .the job of a writer, besides a great plot, is to create a character that one can go on vacation with or follow anywhere. When a reader relates to a character’s fears, morals (or lack of), flaws or secrets, a connection is established. The pages turn because the reader is invested in the character and has to stay with them as they step into the darkened basement, the foreboding forest or the doomed space mission, because they can’t not go. It is our duty as writers to give the reader a vacation, to provide change, challenge and bitten finger nails, all within the comfort of a recliner. If we don’t, there’s no turquoise water, no sandy beach. And so, when each day runs into the next and life feels stagnant, pick up a book and find a character you relate to. Take a vacation and get the bad guy, pull off a heist or fall in love. Be a detective, a PI, or even the villain–wherever your connection lies. In my new release, The Church of the Holy Child, rookie, PI Britt Callahan chases down a serial killer who is targeting women’s shelters. Despite her fear, insecurity and guilt, Britt’s determined to protect these women and prove her self. Sound like a vacation you want to take? 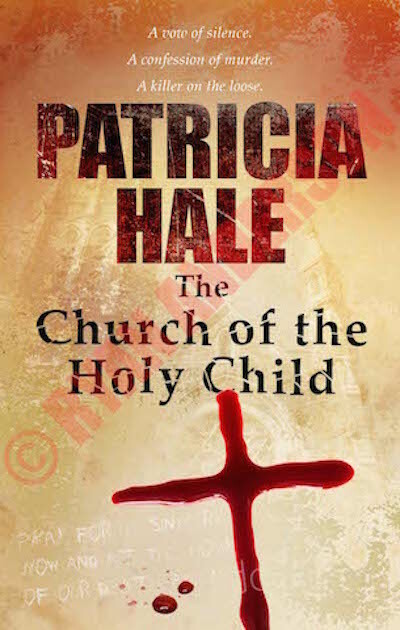 Thanks so much for your post of my new release, The Church of the Holy Child. I’d love to hear any thoughts or questions from your readers.